you could or do listen to every day? I have a temp. job working from home and I can do whatever want in the meantime as long as I get my work done. I listen to a lot of music via Spotify and I realized there's one album I listen to every single day. 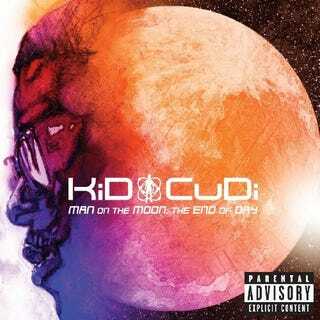 And that album would be Kid Cudi's Man on the Moon: The End of the Day. My job is pretty mindless, and I think the beat helps keep me on task. So what's your one album? Many apologies to Nilla for stealing your polling thunder.